Every night we have a Disney FROZEN sing-a-long in this house. and even my son is (quietly) singing along to FROZEN as he does his homework. I love that this sweet movie, its characters, and its music has found a place in our home. So, are we excited for FROZEN the Movie to be released on DVD on March 18? Um, yeah...you could say that! Beyond excited! In fact we already have a small party planned for after school on Tuesday! The viewing party will be right after school, and a healthy (and they don't necessarily know it), filling, and delicious snack is in order! 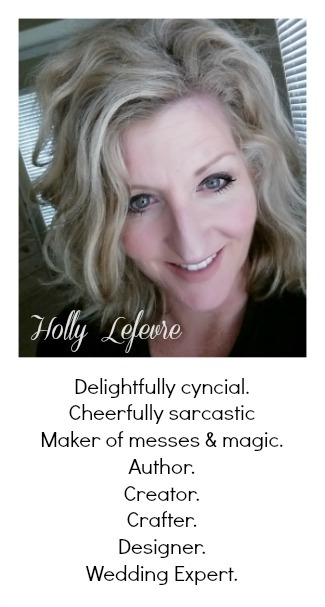 I have long loved waffles...just sayin' my favorite snack might have been a waffle with Mint Chip ice cream. But I know better now and want my kiddos to have a healthier version of this "snack." 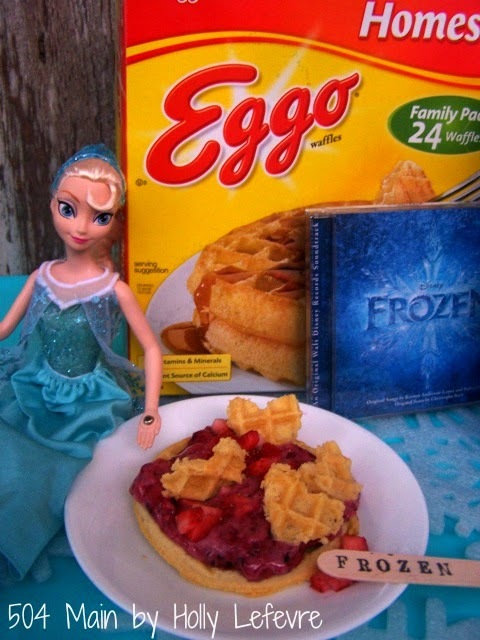 My daughter made many suggestions, and using those I created an Eggo Waffle "Sundae" to help us celebrate the release of FROZEN and create some more #FROZENFun! Our holidays were filled with FROZEN toys - The Anna and Elsa Toddler Dolls, The Anna and Elsa Fashion Dolls, FROZEN puzzles - whatever we could get our hands on! My daughter has fallen in love with everything FROZEN! Now she covets a plush Olaf! When I went shopping for this #CollectiveBias shop, the Olaf's were all gone...but I picked up another copy of the soundtrack for the car, and an Anna costume as well as our waffles, strawberries, bananas, and other ingredients. With the Eggo Waffles as the base of our sundae, we were ready to get "cooking." We needed to add the fun stuff...and the fun stuff was all going to be healthy (or healthier than the typical sundae toppings)! I let the kids choose a couple toppings: strawberries, marshmallows, and granola. I decided that I would make Yonana's rather than serve ice cream. Yonana's is a small kitchen appliance (available at Walmart) that turns frozen bananas into healthy "ice cream." You can add fruit and other ingredients to make it your own. We love it! Our Waffle Sundaes were taking shape! My daughter (and me too!) has anxiously been awaiting the release of FROZEN! If you have a FROZEN fan in your house...you really need to know about these amazing deals from Walmart! 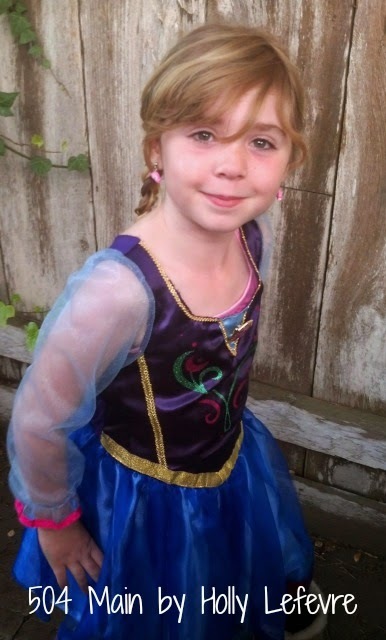 And perhaps you need your very own Anna costume to celebrate with too! 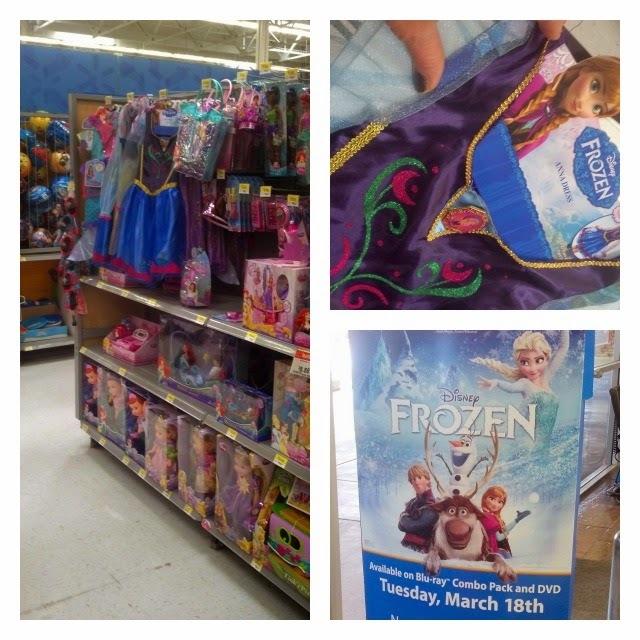 On March 18th, FROZEN will be available at Walmart! And to make the deal even cooler, Walmart will have a price drop from $16.96 to $14.96! 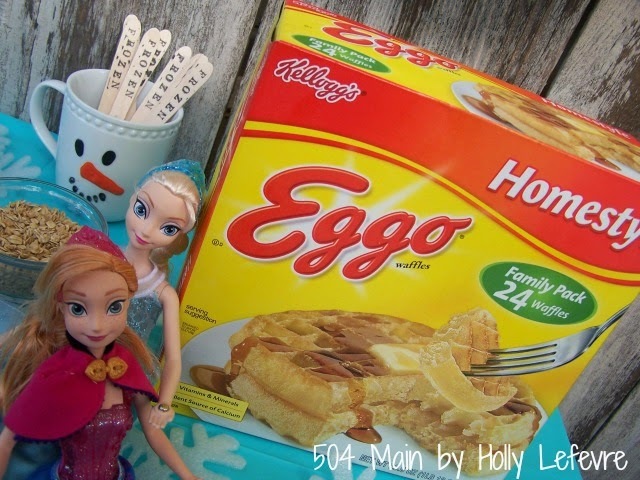 Oh wait...there is more....Look for specially marked packages of Eggo Waffles (24 count) - there will have a special coupon for a $5 off offer for the FROZEN DVD. NOTE: If you do not have a Yonana's machine (and don't want to buy one) replace the Yonana's with frozen yogurt or a coconut/almond milk ice cream.You can easily mix in frozen berries or fresh berries for a fun surprise! Toast the waffles to your liking (I like mine super toasty, the kiddos prefer a bit softer - totally customizable!). Make the Yonana's or prepare substitute (see note above). Place about 1/4+ cups Yonana's on the toasted Eggo Waffle, and spread. Make a little "hole" in the center of the Yonana's, and fill it with fresh or frozen berries. Sprinkle any other topping you like. Place the second waffle on top or place the hearts. to top off a day of shopping, and playing! I cannot wait to share them with all the kiddos on Tuesday! As a mom and blogger I love taking photos, and just recently started playing with Flipagram. Have you tried Flipagram? You can make super cool, mini slideshows and set them to music! Flipagram just happens to have "Let It Go" as a song option... so naturally I had to try a #FROZENFun Flipagram! Don't forget FROZEN the Movie is available on DVD March 18 (I will be there!) with a price drop from $16.96 to $14.96! 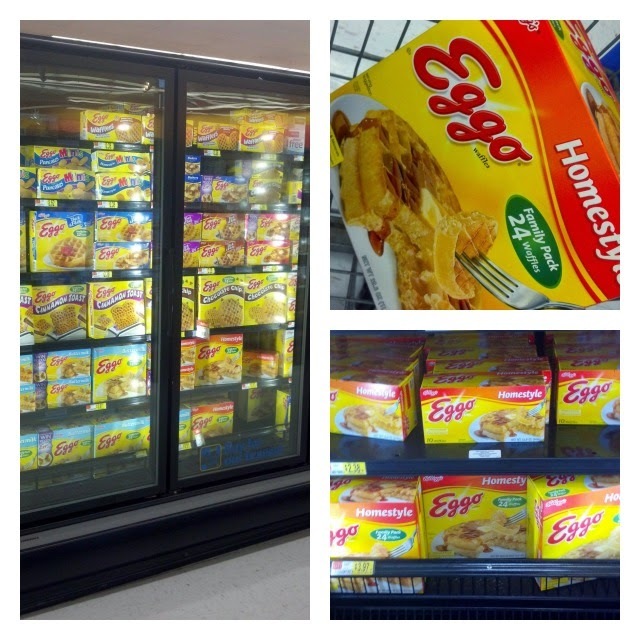 And grab those specially marked packages of (24 count) Eggo Waffles for your $5 off coupon for the FROZEN DVD! I cannot wait to see these faces on the big (TV) screen again! So tell...how many times have you seen FROZEN????? And, what song is your favorite? 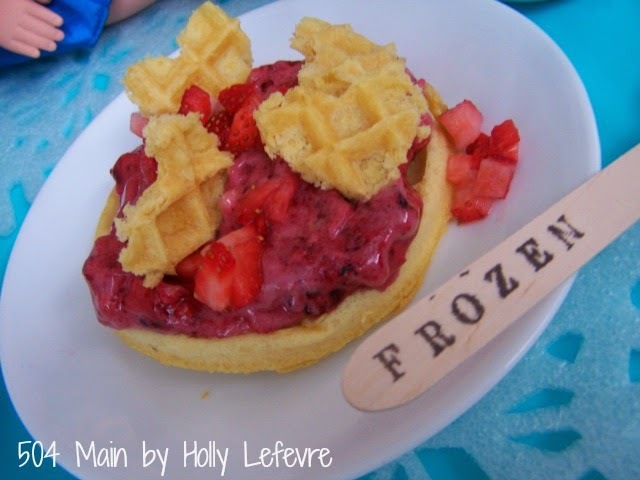 My youngest son hasn't seen the movie yet ~ we can hardly wait ~ love the waffle sundae by the way! I love the stamped spoons! 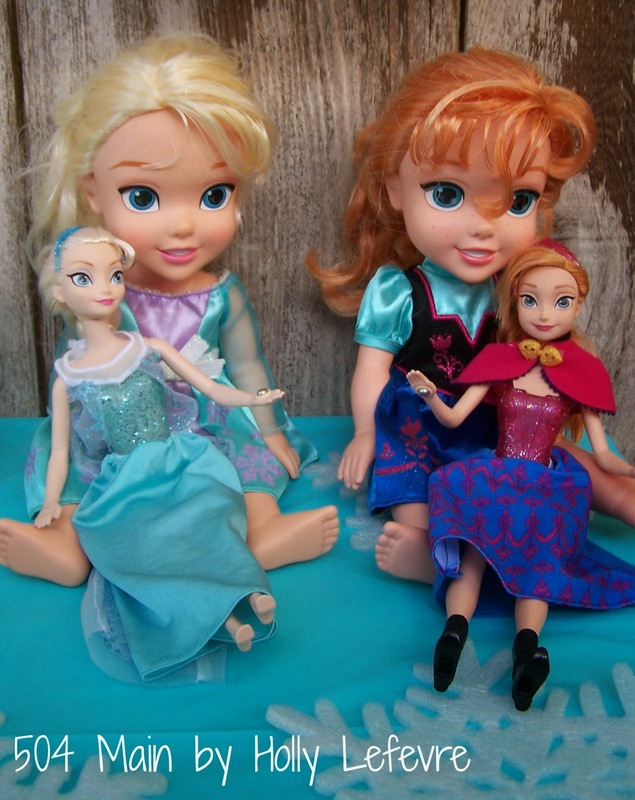 My girls LOVE Frozen and are really wanting to buy some of the dolls! All five of my grandchildren and their parents went to see the movie together on Thanksgiving afternoon and they all thought it was great. We have given all 3 girls both sister dolls and, being a family of Disney fans, we always buy the movies for ourselves and many times for the grands, as well. You know Saving Mr. Banks is coming out on DVD on the same day as Frozen? The Eggo waffle party sounds so fun. Have a beautiful Sunday tomorrow, dear Holly! My daughter would LOVE this! She's dying to see this movie! This is a great post/project/movie! 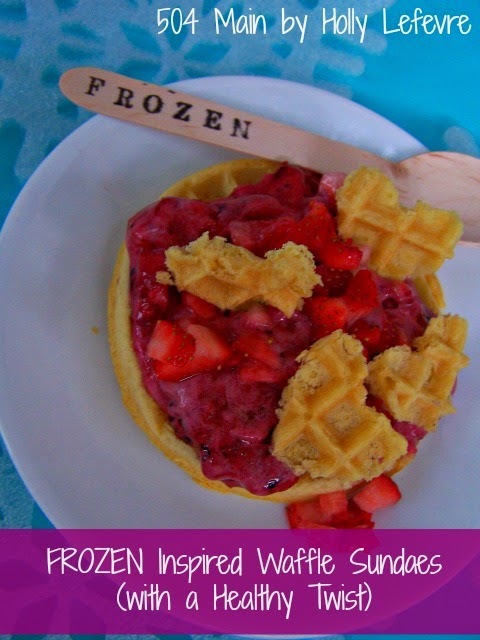 I also LOVE Frozen and they way you incorporated Eggos is genius! Pinning! I remember when Disney movies took over our lives. It's so much fun to see kids get so excited over these characters. We love fruit on our waffles and pancakes. :) My daughter is so excited the movie is finally out. We preordered it and I'm hoping it comes today otherwise she's going to be disappointed. What a great idea for a viewing party! The waffles look so yummy and fun to make. I'm 20 and obsessed with Frozen! And none of my younger siblings are. Oh this looks like so much fun!! We LOVE Frozen too! The music is just great!! We need to get some waffles ASAP! I really want to see this movie, looks adorable! LOVE the healthy twist on the sundae! How fun!! 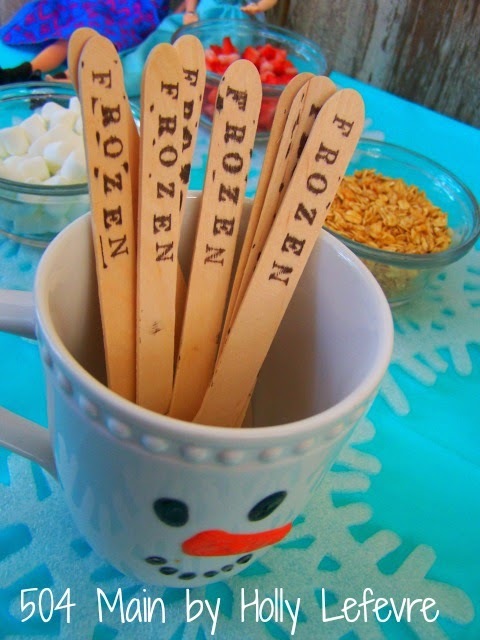 These are great...and Frozen, oh gosh, is amazing!